Maggie is happily settled into her life. Settled with husband, Harry; settled into their comfortable house in a small cul-de-sac; settled with her circle of friends and settled with her high standards of behaviour. When something unsettling though happens to one of her friends, the effect of it builds up a tidal wave around her which smashes through her comfy existence, destroying it forever. A two-handed black comedy that charts a descent into murder and madness. Margaret and Divora are lifelong friends, but what happened between Margaret and her husband Max, and is she asking too much of Divora? 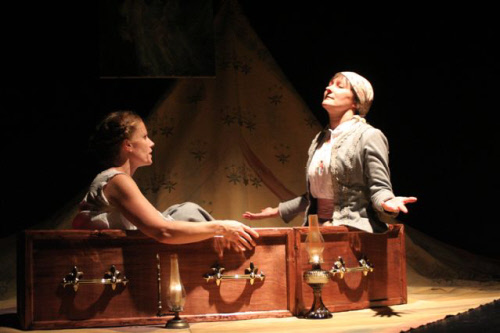 The play explores the see-saw relationship of two women held together by a shared past. Walter Heim is a bigamist and a money launderer who has been embezzling from his criminal friends to support his extravagant lifestyle. Lying in a hospital bed, he is visited by his two wives, who walk out on him, and a messenger from the Mob who reveals that the 'accident' won't be botched next time - he's living on borrowed time. Who can Walter turn to for help? His Doctor and Nurse agree to secretly get him out of hospital and hide him in exchange for a large sum of money. Why does the Nurse though, get the cheque made out in her name only? Does Walter survive? In the lounge bar of the local pub, these five linked short comedies all take place during one evening. 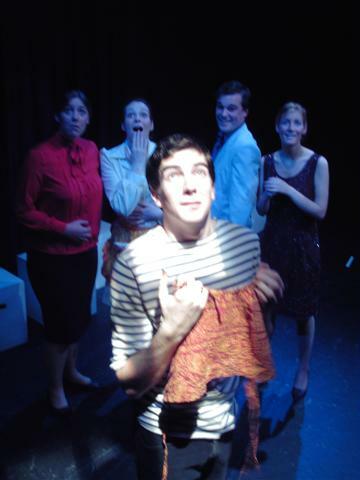 'Calling Time' is written to be performed by four actors performing all the parts, but can be played by a cast of up to 12. Similarly, the play allows for flexibility in length (from 30 mins to 60 mins). Provided the intro and outro scenes, together with 'Who's Joe?' are played, one or two other scenes may be omitted to reduce the running time for use in festivals etc. When teenager Barry invites his new girlfriend to the family Christmas party, she has a catalytic effect on the rest of the household, bringing to the fore a secret that has been hidden for many years. Barry's father has some explaining to do to his niece and his son in an attempt to atone for his actions. A beautifully crafted, wickedly humorous play. (Two Act split possible). Sara catches Ben with her drunk sister wrapped round him and throws him out. Forced to take lodgings, Ben arrives at the house of Mrs Schiller. With spartan accomodation and an ageing Austrian landlady, Ben is plunged into a bizarre series of conversations and flashbacks. His wild imagination portrays her as a Teutonic prison warder after she takes away all his clothes, and his inability to leave the room until she returns them lets him take stock of his married life. A compelling series of 12 monologues telling the amusing, acerbic and utterly absorbing stories of the lives of twelve female ex-pats living in Spain, each with a diffferent reason for emigrating there. Maggie believes that children are crucial for a successful marriage. Bob has other ideas. Is the future world the ideal place to rear the next generation? Bob doesn’t think so. Life would be a comedy if it were not for its tragic ending. A quartet of humorous and sometimes dark plays on the sexual complexities of the mating game for older people, involving flagging libido, frozen embryos, troubled marriages and the difficulties to be found in one-night stands. 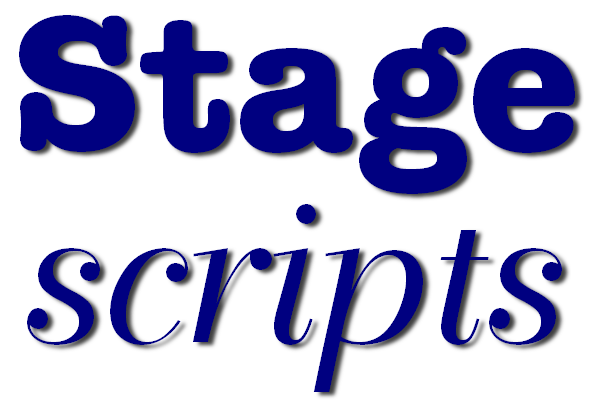 The plays can be performed by a cast of four actors: a man and woman in their sixties plus, and a man and a woman in their mid-forties plus. Used car salesman, John Sykes, retires to Spain with his much younger wife to help his heart condition and to play golf in the sunset of his life. Idyllic maybe, but Laura, his wife, doesn’t know about his affair with Maria, and John doesn’t know about Laura’s affair with Mark, the man who plans to plough up the golf course for holiday apartments. When the secrets are revealed, can John survive the stress? Will Laura and Mark benefit? Or will Maria have the last laugh? Mrs Prince makes her son a vampire cloak for his birthday. Harold is captivated, and bites a girl at his birthday party. He decides on a career as a vampire, and his reign as the self-styled Prince of Darkness begins. As Harold grows older, he and his mother encounter horrified parents and a succession of angry teachers, until his fumbling attempts at seduction lead to the deaths of a number of women. Combined with his new career, this eventually results in Harold’s downfall and his inevitable destruction in the traditional vampire manner – a stake through the heart. Doubling/Trebling possible. Dark secrets hidden in the grey mists of time are reluctantly revealed in this excellent black comedy, set in a small village in 1880's Russia. On the bizarre discovery of an empty coffin in Anya's lodgings, she and her sister Sonia, who are both now in their 40s, are goaded into recollecting some things they'd rather forget from their earlier years.